Oven Roasted Garlic, straight from your own oven. Silky and rich in flavor, roasting brings a mellow attitude to this otherwise pungent bulb. 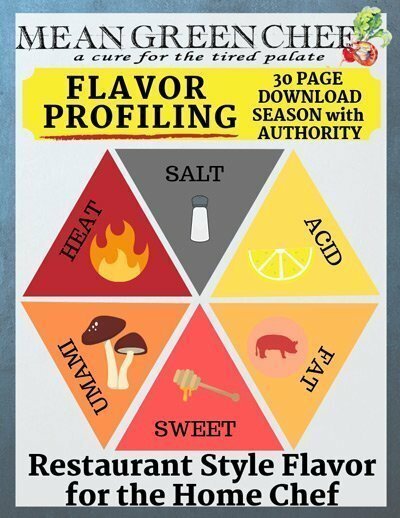 It’s a great secret weapon for adding complex flavor to many dishes. The cloves are so sweet you can eat them right from the oven (after cooling of course)! Creamy and aromatic, with a pop of salt, it’s a delight slathered on a slice of warm crusty bread. This sweeter, milder, caramelized garlic is the perfect addition to an endless host of dishes. Mix with butter and slather on freshly grilled, roasted or steamed vegetables. Whip up some roasted garlic mayonnaise for sandwiches and burgers. Make a fresh guacamole. Mash a few bulbs with avocado, a fresh red tomato, red onion, a squeeze of lime juice and a dash of cumin. Toss into cooked pasta with a good pour of olive oil, sea salt, cracked black pepper and shaved Parmesan. Stir and eat with warm crusty bread. Enhances the flavor of soups, stews, and sauces. Rub on pork, beef, poultry, and seafood for an added flavor boost. Mash into soft butter and make gooey grilled cheese sandwiches. Mix into hamburger meat, along with sea salt, and pepper. Grill and serve on toasted crusty buns with toppings. Perfect addition to mashed potatoes, topped with creamy gravy. Leftover oil from roasting garlic can be used to saute meats and vegetables! 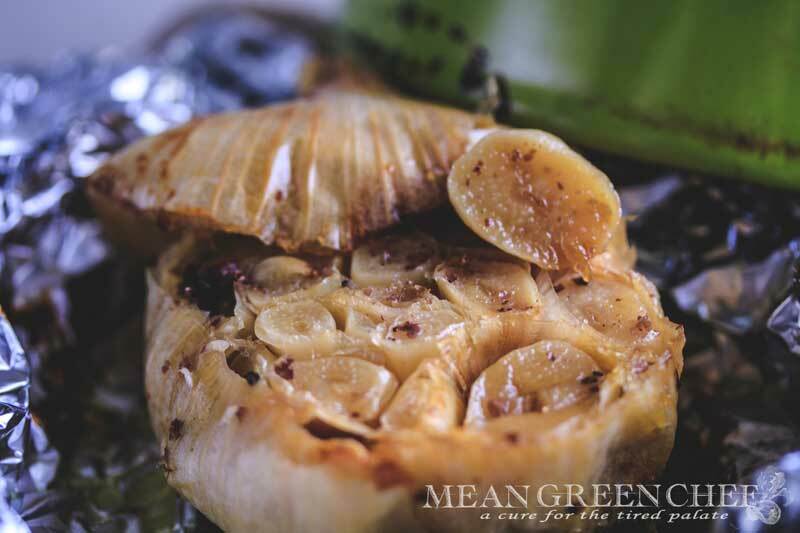 We use roasted garlic in a number of our dishes and because it’s so easy to make ensuring there is always plenty on hand. Peel and discard the loose papery outer layers of the whole garlic bulb. Using a sharp knife, cut 1/4 to a 1/2 inch from the top of cloves, exposing the individual cloves of garlic. Place the garlic on a large square of heavy-duty aluminum foil, enough to be able to wrap the head fully. Drizzle with olive oil: Drizzle a generous pour of extra virgin olive oil over each exposed head, using your fingers to rub the olive oil over all the cut, exposed garlic cloves. Sprinkle with Kosher Sea Salt and Fresh Red or Black Cracked Pepper. Wrap head with the foil it’s sitting in, place in a ceramic baking dish or garlic roaster as pictured. Bake at 400°F/205°C for 50-60 minutes, or until the cloves are lightly browned and soft when squeezed. Cool and remove roasted garlic cloves from their skins: Allow the garlic to cool enough so you can touch it without burning yourself. Slip cloves out of their skins, carefully, with a sharp knife or squeeze out with your fingers. Store Oven Roasted Garlic in an airtight container, covered with extra virgin olive oil. Keep the oil-packed cloves in the refrigerator up to a week. To freeze cloves, spread out on a baking tray and place into the freezer. After they freeze, store in a sealed zip bag or container up to 6 months. Try mashing a few roasted cloves with room temperature butter and spread it onto crusty warm crusty bread. Serve up with a bowl of Lasagna Soup.